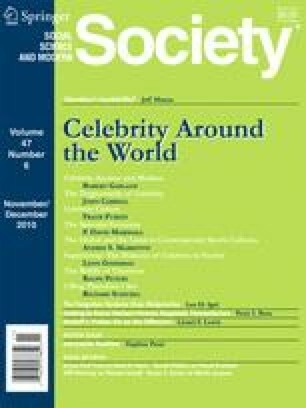 Although the idea of a celebrity has been around for a long time, its mutation into an important cultural force is a relatively recent development. In recent decades the meaning of a celebrity has altered and is now often applied to those who are famous for being famous. The ascendancy of the celebrity has been fuelled by society’s uneasy relationship with the question of authority. Often celebrity provides an alternative source of validation. The tendency to outsource authority to the celebrity represents an attempt to bypass the problem of legitimacy by politicians and other figures.